Bandra is a neighborhood of West Mumbai in the state of Maharashtra, India. Bandra is a posh locality and is home to many influential Bollywood, cricket and political personalities such as Shah Rukh Khan, Aditya Roy Kapur, Katrina Kaif, Salman Khan, Sachin Tendulkar, Shiv Sena chief Uddhav Thackeray, former Member of Parliament Priya Dutt, BJP Mumbai President Ashish Shelar, Ex MLA Baba Siddique and Congress Leader Al-Nasser Zakaria . The name 'Bandra' is possibly an adaptation of the Persian (and also Urdu) word Bandar It was named after the famous, which Duncan Forbes' A Dictionary, Hindustani and English (1848) describes as 'a city; an emporium; a port, harbour; a trading town to which numbers of foreign merchants resort'. 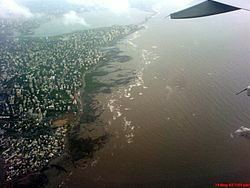 In Marathi, Bandra is known as Vandre, which also means 'port' and is possibly derived from the same Urdu/Persian word. The area was under the rule of the Silhara dynasty in the 12th century. Bandra was a tiny fishing village inhabited by Kolis (fishermen) and farmers. It was acquired by the British East India Company while the rest of Mumbai belonged to the Portuguese. In 1534, a sea captain called Diego da Silveira entered Bandra creek and burned the fishing town he found there. With that, Bandra came under the rule of the Portuguese crown. This turmoil was the start of a long period of Christianization of Bandra. It was Father Manuel Gomes who really turned the Catholic Church into the institution it has become here. In 1580, he baptized 2,000 fishermen, and that was just a beginning. By the time he died 11 years later, Father Gomes' "invincible strength of soul" — as one historian described it — had converted 6,000 people of the area. It was Father Gomes who established St Andrew's church. 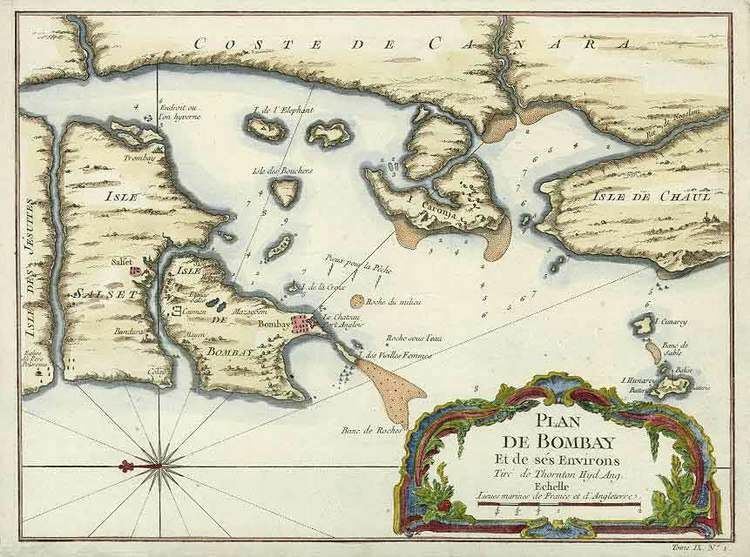 Bandra became a Portuguese possession with the Sultanate of Cambay ceding the region in the Treaty of St Matthew signed aboard the Portuguese brig Sao Mateus in Baçaim harbor 1534, particularly as a result of the efforts of the Governor-General Nuno da Cunha and Diego da Silveira. The Portuguese enfeoffed Bandra, Kurla, Mazagaon and four other villages in 1548 to a certain António Pessoa as a reward for his military services. This was confirmed by the Royal Chancellery on 2 February 1550. As these villages were given for a period of 'two lives,' they reverted to the Crown after the death of Isabel Botelha, Pessos's widow. The Jesuits who had applied for these villages in anticipation of the death of Isabel Botelha obtained them from the Viceroy in 1568, receiving Royal confirmation in 1570. In 1661, when King Charles married Catherina of Portugal, the island of Mumbai was given to England as part of the dowry. However, Salsette Island, on which Bandra lay, was not part of this treaty and remained with the Portuguese. The Portuguese built additional churches in Bandra, one of the earliest being St. Andrew's Church in 1575. 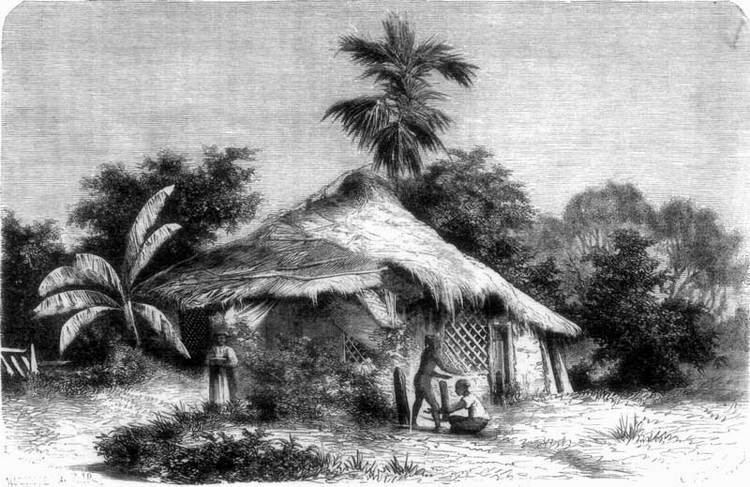 Their Jesuit missionaries, who learned local languages and cultures, attracted many Indian converts to Catholicism among the villagers on the island. Their descendants continue to support the six Catholic parish churches; Mount Carmel, St. Peter's, St. Andrew's, St. Theresa's, St. Anne's and St. Francis D'Assissi, that lie within an area of four square kilometers. Bandra became part of English territory with the signing the Treaty of Surat in 1775 but was retroceded back to the Marathas in 1779 during the First Anglo-Maratha War. In 1802, Bajirao II signed the Treaty of Bassein with the English, surrendering sovereignty and again ceding Bandra and remained under the British till 14 August 1947. On 12 April 1867, the first railway service was inaugurated, with one train per day between Virar and Mumbai. Six years later, it was increased to 24 each day. In the 21st century, 940 trains stop daily at Bandra. As late as the 1930s, Bandra had only one bus service from Pali Naka, Hill Road to the Railway station. Other people just walked to the nearest railway station. After World War II, the building boom started to accommodate immigrants. Bandra was raised to the status of a municipality in 1876, and then was expanded. In 1950, following independence, it was merged into the Bombay Municipal Corporation to form the Municipal Corporation of Greater Bombay. Bandra consisted of many villages, among them, Sherly, Malla, Rajan, Kantwady, Waroda, Ranwar, Boran, Pali, Chuim, etc. These have been lost to urban development of the island. The Catholic chapel of Mount Mary, was built around 1640 by the Portuguese. The chapel was destroyed in 1738 by the Marathas during their invasion. The statue of the Virgin was recovered from the sea by fishermen and temporarily installed in St. Andrew's Church, before being shifted to the rebuilt Mount Mary's Church in 1761. This year marked the beginning of the Feast of Our Lady of the Mount, also known as the Monti Fest or the Bandra Feast. To this day, the statue is venerated and many miracles, minor and major, are attributed to the Lady of the Mount. The architect of Mount Mary's Church was a Bombay architect, Shahpoorjee Chandabhoy. The basilica was built in 1904 at a cost of Rupees 1 lakh. The original church was built to serve the garrison posted at the Castella de Aguada (Fortress of Aguada) at Land's End, Bandra. In 1879, Jamsetjee Jeejeebhoy constructed a flight of steps to the Mount Mary's Church; these are known as the "Degrados de Bomanjee" ('Steps of Bomanjee'). People of all faiths and communities visit the church, giving the place a syncretic nature. The Bandra Fair is held during the eight days of the Octave of the Nativity of Our Lady, beginning 8 September, when pilgrims throng the church. The first school founded in Bandra after Mumbai passed on to the English was St Andrew's Parish School, started by Fr. Francisco de Melo in 1780 to teach catechism to the children of the parish. This later became St. Andrew's High School. St Theresa's High School grew out of St. Andrew's Indian Christians' School, housed in a very dilapidated building situated in Old Khar. This school was founded in 1918. It was taken over by the Society of Divine Word (S.V.D). in 1952. It is counted among the best schools in Mumbai. St Stanislaus School was founded in 1863 by the Society of Jesus. It started as a Native Boy's orphanage.' It became a high school in 1923 and was the first English medium school in the suburbs. Later it grew to be a full-fledged educational institution for day-scholars as well as boarders. What started out as a school for 40 orphans has grown to support 2,300 students. Cardinal Gracias High School is a convent school located in East Bandra. St. Joseph's Convent High School for girls is run by the nuns of the congregation of the "Daughters of the Cross" built in 1865 (Bandra was then known as Bandora)and also boasts of a beautiful chapel.The school has produced illustrious alumni over the years. R.D. National College was originally set up in 1922 in Hyderabad, Pakistan under the guidance of Annie Besant. In the run-up to the Partition of India, it was relocated to its present site in 1949 in Bandra. The Thadomal Shahani Engineering College was established in 1983 by the Hyderabad (Sind) National Collegiate Board. It was the first private engineering institute to be affiliated to the federal University of Mumbai. It was the first among various engineering colleges affiliated to the University of Mumbai to offer courses in Computer Engineering, Information Technology, Biomedical Engineering and Biotechnology. The Rizvi Education Complex, located off Carter Road, has the Rizvi College of Arts, Science and Commerce (established in 1985); Rizvi High School (established in 1985); Rizvi College of Engineering (established in 1998); Rizvi College of Architecture; Rizvi College of Hotel Management & Catering Technology; Rizvi Law College; Rizvi College of Education; and the Rizvi College of Fashion Designing & Creative Arts. All are managed by the Rizvi Education Society, and may have the status of Muslim religious minority institution. Bandra Lake, also called "Bandra Talao" or "Motha Reservoir" was constructed by a rich Konkani Muslim of Navapada (also spelt Naupada or Naopara), an adjoining village. The lake was later acquired by the Municipal Corporation of Greater Mumbai. It was officially renamed Swami Vivekanand Sarovar. Paddle boating facilities and pisciculture activities were operational in this lake during the 1990s but have since stopped. This lake is now a heritage structure of status "Heritage II". Bandra has a large collection of street art or graffiti. The paintings on walls are majorly located at the vicinity of Chapel Road and Veronica Street, but prominent works are also visible near Bandstand and Mount Mary Church. They consist of various types of graffiti, including pieces, stencils, tags, etc. Globally renowned artists such as Gomez have brushed down their creativity on these walls. St.art Mumbai, Bollywood Art Project and Dharavi Art room are some of the organizations that engage in conducting various programs to encourage the artists. The programs have support from the Brihanmumbai Municipal Corporation (BMC). Like most places in Mumbai, Bandra is split by the local railway-line into West Bandra (Postal code 400050) and East Bandra (Postal code 400051). The part of Bandra located on the western side of the railway line developed into a fashionable suburb by the middle of the 20th century. Film director Mehboob Khan established the Mehboob Studios here in 1954. Soon the area became a center for the Indian movie industry. A recording studio was set up in the 1970s. In the mid-to-late 1990s, the eastern part emerged as a commercial and administrative hub. It houses the Family Court, Bandra-Kurla Commercial Complex, the office of the state housing development authority (MHADA), the office of the District Collector, and so on. The residential quarters of the employees of the Maharashtra State Government are also located here. Most roads and places in Bandra were given English names during British rule. They have been renamed over time but many are still popularly known by their old names. Arterial Roads: Swami Vivekanand Road (S.V Road), Linking Road, Turner Road (Guru Nanak Marg), Hill Road (renamed Ramdas Nayak Marg), Carter Road (renamed Naushad Ali Marg), Navpada Road (Balsamant), Western Express Highway. The Bandra-Worli Sea Link connects the western part of Bandra to Worli by the sea route, thus diverting a lot of road traffic. Public transport BEST buses, auto rickshaws and taxis are abundant. Bandra is the last southern point from Mumbai where auto rickshaws ply. Beyond Bandra, entering Mahim, only taxis are allowed to ply. The Bandra-Worli Sea Link bridge connects Bandra West with Worli located in central Mumbai. Due to Bandra's central location, most parts of the city are easily accessible. Jogger's Park: Jogger's Park is a small seaside jogging track where joggers of Bandra congregate. The park, next to the Otter's Club, was where Mumbai's first laughing club was launched. Colonial-era bungalows, Bandra's unique architectural heritage, which is being threatened by ongoing development.